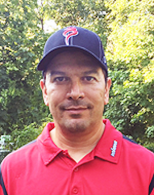 Coach Simoes is one of the more respected baseball minds in the Boston area having been successful at every stop along the way, most notably at Hopkinton HS where he led the Hillers to three Tri-Valley League Championships (2001, 2004, 2005), and a Massachusetts State Championship (2004). He earned ABCA Region I Coach of the Year and Daily News Coach of the Year in 2004 and the Boston Globe Coach of the Year in 2005. He also led Hopkinton to three Tri-Valley League Sportsmanship Awards (2002, 2003, 2005). After Hopkinton HS, he served as an assistant coach at Holy Cross. Coach Simoes has done or seen it all and the MBCA is excited to have him as part of our panel discussion on hitting.